On November 28, 2017 “members of the South Central Synod of Wisconsin and the Milwaukee Presbytery met at San Jose and affirmed their commitment to continue supporting the church”. The relationship between Saint Paul and San Jose continues to be strong, and their contract/agreement will be renewed this month. 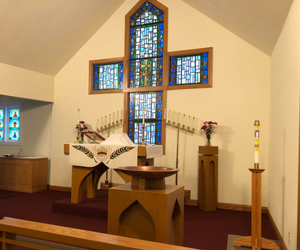 Williams Bay Lutheran has also committed to continuing supporting the San Jose congregation. An increase in the amount of financial support has been approved by our Council. In addition, our Bell-Choir is considering in offering a summer concert during the summer.